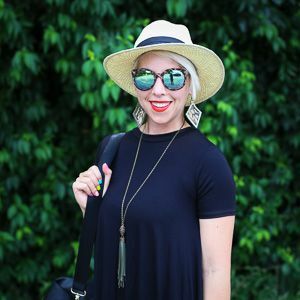 As I've mentioned the past several weeks on Instagram, I've decided to go for it and compile a capsule wardrobe for this fall. Scary? Yes, quite. Exciting? Yes, in the way that I am looking forward to not having so many choices and keeping my look classic, yet me. So to start off my big capsule reveal, today is all about the basics. I'm not giving myself a number of pieces I have to stick to (hoping to cap it at no more than 40), so I'll be showcasing my capsule in three separate blog posts..."The Basics", "some Spice" (including some items I know I'll wear a few times but don't necessarily fall into a "capsule" label), and "Accessories". Over the past two months, I've carefully curated this basics list...taking advantage of sales and drawing upon what I already owned. My most favorite purchase was my new biker jacket from Urban Outfitters for under $200! Check out the specific links to each piece below. *Just to note: While there are PLENTY of places from which to buy these basics (or ones very similar), I linked to the exact ones I have/purchased just for reference. 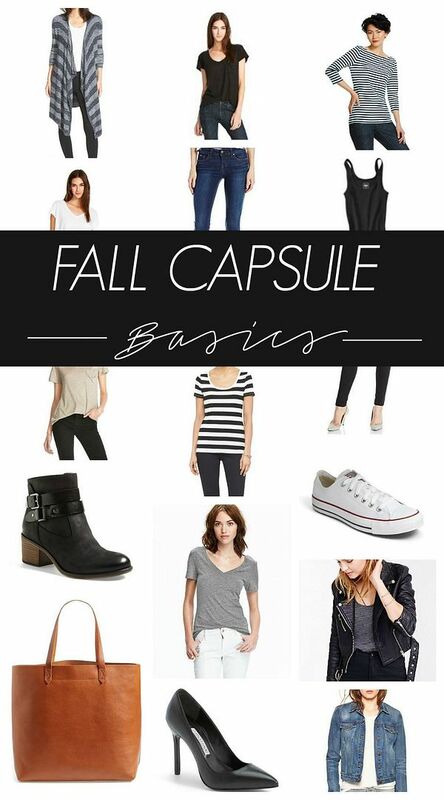 The best places to get your capsule basics are Target, Old Navy, Nordstrom, and Amazon (jeans)...in my opinion. I'm surprised I have as many options as I do out of what you show above! Working from home I am trying to figure out how to not look like a slob every day... I don't want to be uncomfortable (like I could be in my work clothes), but I also don't want Brent to come home and say 'yoga pants again?' ha. Do you ever look at Mix & Match mama (shullfamily.blogspot.com)? I LOVE her style. She has a slightly bigger budget than I do, ha, but she just always looks casual but never sloppy. I think it's all about her accessories.